Former Trump campaign adviser George Papadopoulos will appear before a congressional task force Thursday. Papadopoulos informed the task force that he hopes to discuss his interactions with nine people during the 2016 campaign who he now suspects may have been sent to spy on him. At least one FBI informant, Stefan Halper, contacted Papadopoulos, who has been sentenced in the special counsel probe to lying to the FBI. When former Trump campaign adviser George Papadopoulos testifies Thursday before Congress he hopes to speak with lawmakers about his interactions with nine individuals he believes may have been sent to surveil him during and after the 2016 election. A lawyer for Papadopoulos listed the nine people in a letter sent Monday to the House Oversight and Government Reform Committee and obtained by The Daily Caller News Foundation. Some of the names on the list have been widely discussed in the press: Maltese professor Joseph Mifsud, former Australian diplomat Alexander Downer, FBI informant Stefan Halper, and alleged Steele dossier source Sergei Millian have all popped up during the course of Russiagate. But Papadopoulos identified five other people — Azra Turk, Aziz Choukri, Charles Tawil, Terrence Dudley and Gregory Baker — whose interactions he now questions. Papadopoulos, who was sentenced to 14 days in jail on Sept. 7 as part of the special counsel’s investigation, volunteered to speak to a congressional task force investigating the FBI and Department of Justice’s investigation into collusion between the Trump campaign and Russia. The 31-year-old Chicago native was a key component of the probe. The FBI opened up its investigation in late July 2016 based on information that Downer shared with his Australian counterparts more than two months after he met in London with Papadopoulos. Despite the early interest in the Trump aide, the FBI and special counsel appears not to have found evidence linking him to a conspiracy to collude with Russians. Papadopoulos pleaded guilty to the relatively light charge of lying to the FBI. He acknowledged making false statements about the timing and extent of his interactions with Mifsud. Since being sentenced, Papadopoulos has taken to social media to suggest that Downer, Mifsud and others on the list were working at the behest of Western intelligence agencies to spy on him, either because of his links to the Trump campaign or because of his business activities. “I think I was set up by Western intelligence. I think most of these meetings that I had were all orchestrated; I don’t know by who,” Papadopoulos said in an interview Saturday on Fox News. Papadopoulos’s theory is mostly based more on a hunch than tangible evidence, save for Halper, who has been identified as an FBI informant. 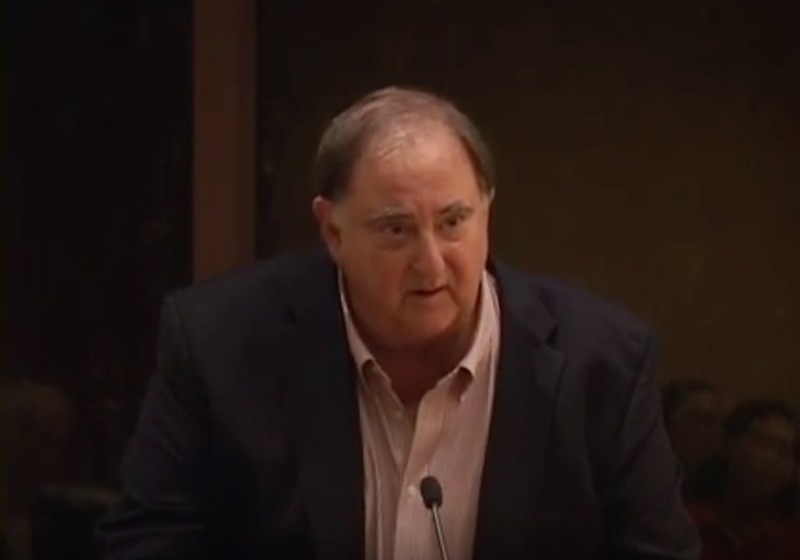 No public evidence exists linking Halper to Downer or Mifsud. Papadopoulos said Halper asked him during one conversation whether he was involved or knew about Russian hacks of Democrats’ emails. Papadopoulos said he denied the allegation. Accompanying Halper was Turk, a Turkish woman who Halper described as his assistant. Papadopoulos has said that Turk brought up the topic of Russians and emails during one conversation in London. He’s also claimed that Turk offered to travel to Chicago to meet him. Papadopoulos and Halper met only during that London trip. However, Halper maintained contact with Page from July 2016 through September 2017. Papadopoulos has also suggested that Mifsud and Downer, who served as Australia’s high commissioner to the U.K., may have been sent to set him up, either by British or American spy agencies. The FBI reportedly opened its investigation of the Trump campaign on July 31, 2016 based on information from Downer. The Aussie diplomat claimed that during a meeting at a London bar on May 10, 2016, Papadopoulos mentioned that Russia had derogatory information on former Secretary of State Hillary Clinton. Two weeks earlier, on April 26, 2016, Papadopoulos met with Mifsud, also in London. There, Papadopoulos said Mifsud claimed Russia had “dirt” on Clinton in the form of “thousands” of her emails. 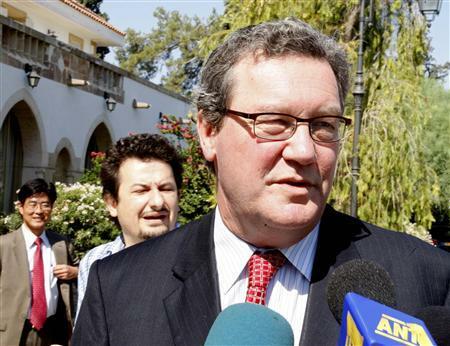 Downer passed details of his conversation back to his Australian counterparts. The Aussies shared the Papadopoulos information with the FBI in late July 2016, after the release of hacked Democratic National Committee emails. Mifsud is perhaps the most mysterious figure on the list provided by Papadopoulos. A former professor from Malta, Mifsud has been in hiding since November 2017, just after Papadopoulos pleaded guilty to lying to the FBI. While Papadopoulos said as part of his guilty plea that he believed Mifsud was working on behalf of Russians, he has recently embraced the possibility that Mifsud was linked to Western intelligence. That theory has also been pushed by Stephan Roh, a Swiss-German banker who is friends with Mifsud and said he is handling public relations on behalf of the professor. Roh said he last saw Mifsud in person in late May at his offices in Zurich. Metadata from a photo Roh shared of himself with Mifsud was taken on May 21, The Associated Press reported Monday. Roh told TheDCNF this week that Mifsud claimed in their previous meetings that he was working under the direction of the FBI when he made contact with Papadopoulos. He also claims that Mifsud told him that he was ordered to stay out of the public spotlight until the conclusion of special counsel Robert Mueller’s investigation. “Prof Mifsud explained that he is and was always a trusted cooperator of Western Intelligence services,” Roh said on Oct. 20. “Prof Mifsud explained to us that he agreed not to speak, not to give interviews and to hide until the [Mueller] Investigation is terminated,” said Roh, who added that Mifsud claimed that he was being assisted by a London law firm in his discussions with the Mueller team. The claims, if true, would be bombshell developments in the Russiagate saga. But TheDCNF was not able to independently verify Roh’s claims. The special counsel’s office declined comment. While some of Roh’s claims about Mifsud would seem to support Papadopoulos’s theories, Roh has also said that Mifsud denies Papadopoulos’s allegation that he mentioned Clinton emails during their April 2016 meeting. Roh has asserted that Papadopoulos was working as an “agent provocateur” for a Western spy agency. Papadopoulos also hopes to speak with lawmakers about his interactions with Millian, a Belarus-born businessman who is alleged to be a major source for the infamous Steele dossier. Papadopoulos met Millian in late July 2016, just before the FBI opened its investigation. Millian, who has claimed in the past to have links to the Trump Organization, approached Papadopoulos on LinkedIn on July 22, 2016. They met in New York days later. Millian, whose real name is Siarhei Kukuts, is alleged to be the unwitting dossier source who claimed that the Kremlin has blackmail material on President Donald Trump. Millian, who has also gone underground in recent months, reportedly shared information with an intermediary working for Christopher Steele, the former British spy who authored the anti-Trump report. Steele was working indirectly for the DNC and Clinton campaign to investigate Trump. The FBI would later use his dossier to obtain four Foreign Intelligence Surveillance Act (FISA) warrants against Page, the Trump campaign aide. Papadopoulos, who is not mentioned in the dossier, has said he grew suspicious of Millian’s motives after the Belarusian offered to pay him $30,000 a month to work from inside the Trump administration on behalf of a Russian energy company. Papadopoulos also lists a purported friend of Millian, Choukri. Papadopoulos has told TheDCNF that he met Millian and Choukri at an event affiliated with the Trump inauguration in January 2017. He claims that Choukri made a comment about Millian being linked to the FBI. Millian has repeatedly declined to provide comment beyond denying that he was a dossier source. Choukri did not respond to several requests for comment. Sandwiched between Papadopoulos’s fateful meetings with Mifsud and Downer was an approach from Dudley and Baker, two U.S. officials working at the embassy in London. Dudley and Baker have both told TheDCNF in separate interviews that they reached out to Papadopoulos in their personal capacity and were not acting at the behest of the U.S. government. Baker, who has left government, claimed he was merely interested in the Trump campaign and wanted to meet Papadopoulos since he was in London. Dudley, who has been interviewed by the special counsel’s office, said he was intrigued by how Papadopoulos came to work for the Trump campaign from London. Dudley told TheDCNF he told Mueller’s team that he viewed Papadopoulos as “naive,” especially in his remarks about resetting relations with Russia, but that he did not detect any nefarious activity on the part of the Trump associate. Papadopoulos has flagged one other interaction he wants lawmakers to investigate. He has claimed that shortly before his arrest in July 2017, an Israeli-American businessman named Charles Tawil flew to the Greek island of Mykonos to meet him and his then-girlfriend, Simona Mangiante. Papadopoulos claims that while in Greece, Tawil requested they travel together to Israel. There, Tawil gave Papadopoulos $10,000 in cash during a meeting in a hotel room. The cash is referenced in one court filing submitted by the special counsel’s office. Tawil has disputed Papadopoulos’s claims about their interaction. He told TheDCNF he gave Papadopoulos the cash as part of a business deal that failed to materialize.